Roundup is one of the most widely used herbicides in the world. It is sprayed on millions of acres of farmland in the United States alone, and is a staple for many home gardeners. Yet in 2015, Roundup’s active ingredient was determined to be a probable carcinogen by an entity of the World Health Organization, and has been linked to deadly forms of blood cancer in numerous studies published in the last 15 years. The following will help you learn more about this potentially dangerous herbicide and why lawsuits are forming against its manufacturer – the 5th most-hated company in America. Roundup is an herbicide used to kill weeds and grass on home lawns, in gardens and on agricultural fields. The product was first introduced to the consumer marketplace in 1976 by Monsanto Company and has since been used by millions of consumers and industry professionals alike. What is Roundup used for? Roundup is a weed and grass killer. It is used to control unwanted pests in gardens and on lawns at home, and is also used on agricultural fields to keep weeds from overtaking crops. There are even Roundup Ready seeds that are genetically engineered to be resistant to the herbicide, allowing farmers to spray Roundup directly onto crops and kill only the weeds around them. It can also be used to clear grass from lawns before planting a new lawn or laying a new patio or walkway. The makers of Roundup suggest not using the herbicide to kill weeds on lawns, unless clearing large areas of grass is the goal. Roundup will kill virtually all plants that it touches. 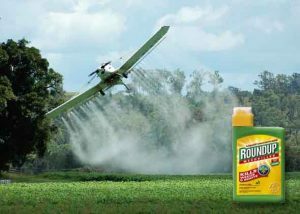 Roundup is used on farms and other agricultural operations to kill unwanted weeds from crop fields. In 1996, Roundup’s manufacturer Monsanto introduced Roundup Ready crops – genetically engineered seeds that were resistant to the herbicide. This means farmers could spray Roundup directly onto Roundup Ready crops during the growing period and only the weeds would be killed. The company first introduced RR soybean and corn seeds, but soon cotton, alfalfa, canola and sugar beet seeds came to market. Monsanto has also experimented with RR wheat, but discontinued trials even after gaining approval in 2004 from the Food and Drug Administration, which said the seeds were as safe as conventional wheat for humans and animals. Much controversy has surrounded the use of RR crops and other genetically modified organisms, or GMOs. There are few long-term studies to show the safety and efficacy of GMOs in the human body and environment. GMO crops have also led to an increase in the use of pesticides across the United States, with one study estimating an additional 500 pounds of pesticides were used on America’s farmlands since the introduction of herbicide-resistant seed technology. Roundup Weed & Grass Killer is used to keep weeds at bay in areas other than at home and on the farm. Roundup is often used by commercial nurseries and golf courses to control pest populations and to clear unwanted growth. Roundup works by targeting and inhibiting a specific enzyme found only in plants. Roundup’s active ingredient, glyphosate, inhibits this enzyme and prevents the plant from making certain proteins needed for growth. Roundup is absorbed mostly through the plant’s leaves and is effective in killing a wide variety of plants. Roundup is manufactured by Monsanto Company, a St. Louis-based sustainable agriculture company. 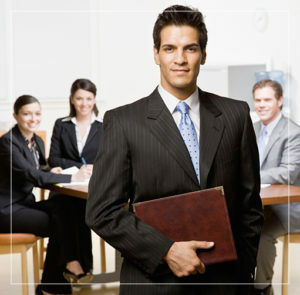 It employs more than 21,000 people worldwide, nearly half of whom are based in the United States. Monsanto brought in about $15 billion in revenue in 2015. Monsanto has a notoriously bad reputation, thanks in part to its GMO seeds, which have been banned in 38 countries around the world due to fears of potential adverse health effects in humans. In 2016, Monsanto was ranked as the 5th most-hated company in America based on the Harris Poll’s Reputation Quotient, which ranks the nation’s 100 most visible companies as perceived by the general public. Roundup Weed and Grass Killer is the most widely used herbicide in the world and its toxicity has been a widely contested issue for years. Roundup is sprayed on millions of acres of farmland each year in the United States, and studies suggest its use has been increasing. Residue from the herbicide’s main ingredient glyphosate has been found in air, water and soil samples taken by the U.S. Geological Survey, as well as numerous food samples, giving rise to the question: Is Roundup safe? Glyphosate was determined to be “probably carcinogenic to humans” in March 2015 by the International Agency for Research on Cancer, part of the World Health Organization. Drawing on published reports in scientific literature from independent researchers, IARC specifically linked exposure of Roundup and glyphosate to non-Hodgkin lymphoma (NHL) and several other blood cancers, including B-cell lymphoma, a subtype of NHL. The European Food Safety Authority, on the other hand, concluded the same year that glyphosate was unlikely to pose a carcinogenic threat to humans. Roundup can persist in the soil for days or even months, risking a buildup of the herbicide in the environment and further exposing people to the substance. Roundup binds tightly to soil and has been shown to remain for up to 6 months depending on the climate and soil type, according to the National Pesticide Information Center. Monsanto’s own studies have shown Roundup to have a wide-ranging half-life, depending on conditions. Soil samples taken around the US by Monsanto in the 1990s produced half lives ranging from less than 2 days to more than 140 days. The National Pesticide Information Center also suggests Roundup is not likely to get into groundwater because it binds so tightly to soil, however, samples taken by the U.S. Geological Survey have tested positive for glyphosate. Is there a link between Roundup exposure and cancer? Dozens of studies have been published since the late 1990s analyzing the safety of Roundup’s main ingredient, glyphosate. Many of these studies link the weed killer to a deadly form of blood cancer called non-Hodgkin lymphoma and its subtypes. The use of Roundup has increased 10-fold in the past 20 years, according to a Consumer Reports article published shortly after IARC announced its assessment of glyphosate in March 2015. When pesticides like Roundup are applied to fields or yards, their residues can wind up in our drinking water and our food. That means virtually everyone is at risk for exposure, though some may be more at risk than others. Who is at risk for exposure to Roundup? Are there lawsuits against the maker of Roundup? Since IARC made the determination that Roundup is probably cancer-causing to humans, lawsuits have been filed against Monsanto on behalf of individuals who were diagnosed with non-Hodgkin lymphoma or any of its subtypes. I was exposed to Roundup and was diagnosed with NHL. Can I file a lawsuit? If you or someone you love was exposed to Roundup and were diagnosed with non-Hodgkin lymphoma or another blood cancer, you may be entitled to compensation. The legal team at National Injury Help is ready to answer your questions and help you determine if your case qualifies for a Roundup Cancer Lawsuit. Call National Injury Help today at 1-800-214-1010 for a free case evaluation or use the form on the bottom of your screen.